Ember is a frame that can be acquired later in the game. To get to the boss that drops Ember, you need to complete the “New Strange” story quest, defeat “Alad V” on Themisto-Jupiter and complete a normal mission, Baal-Europa. After completing these small tasks, you can work your way to Tethys, Saturn where “General Sargas Ruk” shall await you. Ember is a great frame if you want to set the world on fire (pun intended). She is easy to understand and can be modded depending on your needs. The only downside is her weak armor and shield/health. Her blueprint costs 25, 000 credits and it is found in the Market. To build the parts, you will not need to farm a lot, everything you need should be already in your possession by the time you get there. If not, the resource you will most likely need is Neural Sensor, which drops on certain planets. Jupiter is one of those planets and we recommend Elara and Sinai missions for it. Themisto is a good place for it also (“The Assassination of Alad V”) and you need it to unlock the planet Saturn also. You need to defeat General Sargas Ruk to get blueprints for Ember. The boss named “General Sargas Ruk” is not for just show. With thick armor and strong attacks that can easily take down weaker frames, he can put up quite a fight. Modding your frame with health and armor mods can help a lot. Vitality is highly recommended. If you have Steel Fiber and got space, it can improve your sustainability. The boss will use his flamethrower for ranged or will swing his weapon for melee attacks. After an attack, a portion of his armor (his right arm) will open up. That is where you need to shoot. After dealing enough damage, that part of the armor will explode. The boss will now cast Fire Blast, which creates a ring of fire around him. After each attack, a new portion of the armor (his chest) will open. Just shoot it, till it explodes. Sargas Ruk will now use Inferno, which deals AoE damage around him. Just like before, attack the part that opens up (his back) and kill him. Although it makes the fight harder, since you are squishy, it is not impossible to deal with Sargas Ruk. Loki, Ivara, Ash are all good choices. Just make sure that you avoid getting hit by the AoE damage. Other choices can be Frost, with his Snow Globe augment, which can slow down Sargas Ruk, so that his weak spot can be shot more easily. Another frame that goes in the same category is Nova. Her Molecular Prime (4th ability) if built for strength properly, can slow down the entire room, making the fight a breeze. 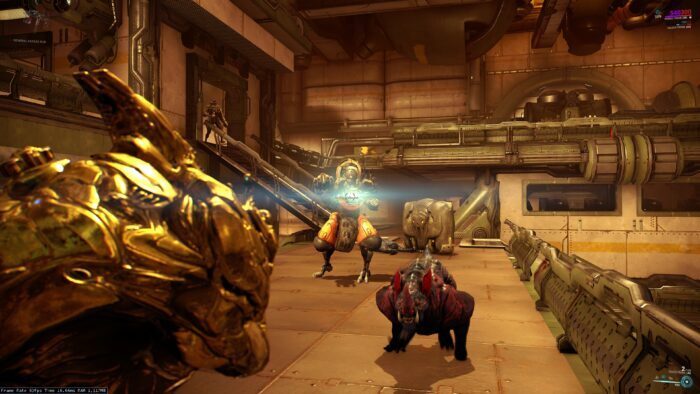 Frost and Nova‘s abilities can work together and will stack upon each other, making the boss really slow. Limbo can go into the rift, avoiding damage while the boss attacks( except Inferno). He can also put the boss in the rift with his Cataclysm. Anyone that is outside of the ability cannot be damaged, unless they walk into it. Modding it for Duration and a bit of range will do the trick. Trinity if built for range and strength can heal (100% health and shield restore) and buff allies with damage reduction (up to 75%). There is no requirement for a specific weapon. Sargas Ruk is very weak to Radiation damage. We still have a few weapons that we can recommend if you are unsure of what to take. If you are using a weaker Warframe that has low armor or health pool, I recommend using a sniper and just pick him from afar. Simply run up to him, to attack, then get away and snipe. Just make sure that the spawned adds don’t kill you. Suggestions for weapons: Lanka, Vectis, Rubico for snipers with the critical chance, critical damage and status mods. 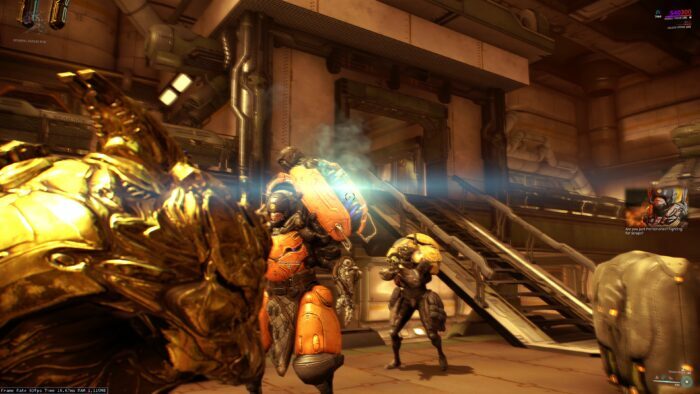 Tigris, Arca Plasmor (has built-in radiation) can work also if modded for status and high damage. Critical chance and damage is not a must. If you have the space for it, it will help, but it is not that much of a difference. The boss fight can be very tedious and annoying at first, with adds that spawn and hit hard and the boss that just burns everything around. The armor does not open up for long, so if you are new and jump around to not get hit, you might miss the opportunity to damage him. Ember has all the moves that Sargas Ruk used. (who is the copycat here?) The frame is squishy but can be very fun to use early on in the game. The last ability, World on Fire, makes everything around you burn, While her 3rd ability Inferno Blast, makes a ring of fire around her and any weapon that shoots trough will have its heat damage increased. 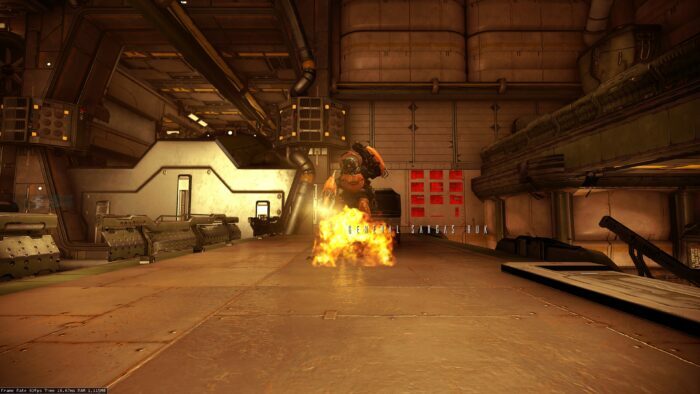 Make sure that your Warframe is standing on fire, because of her passive kicking in, regenerating 10 energy per second while increasing your ability strength by 35%.